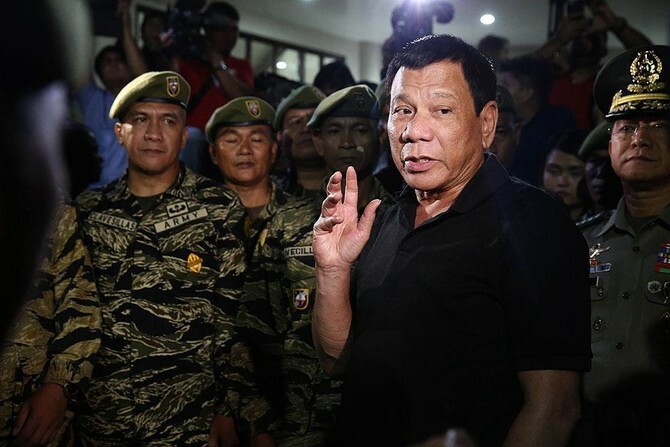 Philippine prosecutors said Wednesday they will file a libel charge carrying up to 12 years in prison against journalist Maria Ressa, who leads a news website that has clashed with President Rodrigo Duterte’s administration. The case – under a controversial cybercrime law penalizing online libel – adds to legal pressure on Ressa and her site Rappler, which has already been hit with tax evasion charges that could shutter the outlet and put her behind bars. Rappler has drawn the administration’s ire for publishing reports critical of Duterte’s infamous anti-drug crackdown, which has resulted in the summary execution of thousands of alleged users and pushers since 2016. Duterte has boasted about his government’s “extrajudicial killings” of suspected drug users and has likened himself to Adolf Hitler. The new case against Ressa and former Rappler reporter Reynaldo Santos, Jr. stems from a 2012 report written about a businessman’s alleged ties to a then-judge on the nation’s top court. Some of the drug crackdown’s highest-profile critics have wound up behind bars, including Senator Leila de Lima, who was jailed on drug charges she insists were fabricated to silence her. Ressa, already on bail for the tax charges, said the new case lacks a sound legal basis. The law that forms the foundation of the case takes aim at various online offenses, including computer fraud and hacking. Nonoy Espina, chairman of the National Union of Journalists of the Philippines, said the case would set an ominous precedent. Among those named with Khashoggi were Philippine journalist Maria Ressa, Reuters reporters Wa Lone and Kyaw Soe Oo – currently imprisoned in Myanmar – and the workforce of the Capital Gazette in the U.S. city of Annapolis, including five staff members killed in a June shooting.